As people shuffled through the doors of the Tennessee Performing Arts Center on Sept. 6, they all had eyes for one thing: empanadas. 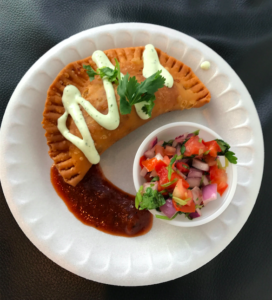 Five different Nashville catering companies and restaurants came together for the Tennessee Latin American Chamber of Commerce’s 3rd annual Empanada Tasting Event. The Tennessee Latin American Chamber of Commerce (TLACC) is a non-profit organization that helps small Latino-owned businesses connect with the general market and promote engagement with Latino business owners. Each of the five booths offered empanadas from different countries, and guests were asked to fill out a ballot and vote for their favorite empanadas. Though the seasoning and cooking techniques may change depending on where the chef is from, an empanada is basically any kind of filling wrapped in dough. As a live latin band filled the room with upbeat music, it was my job to try each empanada and decide which would reign supreme. Delicias’ empanadas delivered. By this point in the night, I’d had four empanadas, each of which had changed my expectation of what an empanada should and could be. I’d had barbecue, dessert, vegan, and heavily fried empanadas. When I received my fifth empanada, my expectations shifted yet again. 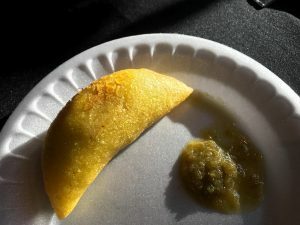 A cornmeal-type dough filled with spicy chicken and a dollop of even spicier salsa verde was all I needed to see that amongst traditional empanadas, the style and flavor are entirely dependent on the chef. If you want to see for yourself, Delicias Colombianas will have a booth at the Nashville County Fair on Sept. 8 and 9. 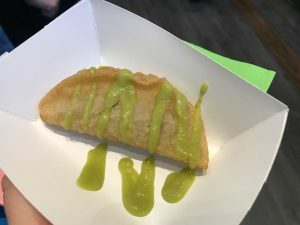 Normally standing as a vegan taco pop-up stand at the Nashville Farmer’s Market, Ronald Cerdas and Adrianna Ortega also made their debut at the TLACC event. Their stand featured three empanadas: Jamaica, filled with hibiscus blossom and corn masa; Champinon, a puff pastry empanada filled with mushrooms; and Enyucados, a yuca and picadillo empanada. I was only able to taste one, but the Jamaica empanada topped with their signature avocado cream sauce was killer, especially considering it was vegan. The dough was slightly chewier than the other empanadas, but the hibiscus flower filling was salty and crunchy enough to offset it. Back to Cuba, a restaurant on Trousdale Drive off I-65, had a selection of the most prototypical empanadas I could imagine. They get an A+ for authenticity. Served with a side of an oily chimichurri-like sauce called “ají”, the chicken empanada was homey and spicy. If you want an empanada between 11:00 a.m. and 9:00 p.m., Back to Cuba’s the place to go, as it was the only restaurant featured at the event that serves empanadas regularly. 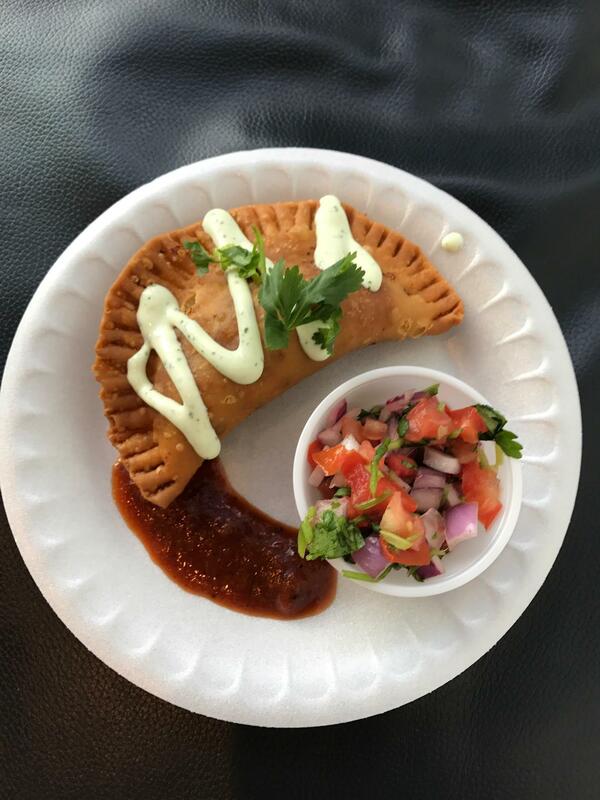 Que Delicias opened as a catering company in 2002 and serves classic Colombian empanadas, which tend to have a flakier, corn flour dough compared to empanadas from other Latin American countries. 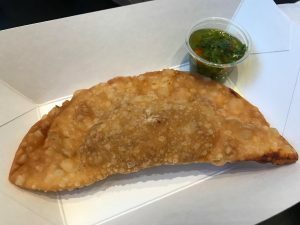 With an array of chicken, beef, veggie and guava empanadas that smelled like cilantro and spice, it’s no surprise Que Delicious came in 1st place. When I laid my eyes on the guava empanada, I had to try it. 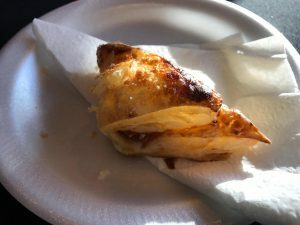 It was a light puff pastry filled with guava jelly, and was easily one of the best fruit filled desserts I’ve ever had. With my tasting tickets in hand and a craving for anything other than a Commons burger, I was ready to try my first Nashvillian empanada. I felt so far removed from campus until I realized that the first booth featured Vanderbilt’s own Hilton Garden Inn. Rocio Diaz Ruiz, the Hilton Garden Sous Chef, stunned the crowd with a southern twist on a latin classic. Her barbecue chicken empanadas tasted even better than they looked, and were served with a barbecue salsa. 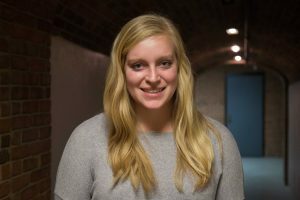 Although it was her first year at the TLACC’s event, her empanadas were a hit and she came in 2nd place.